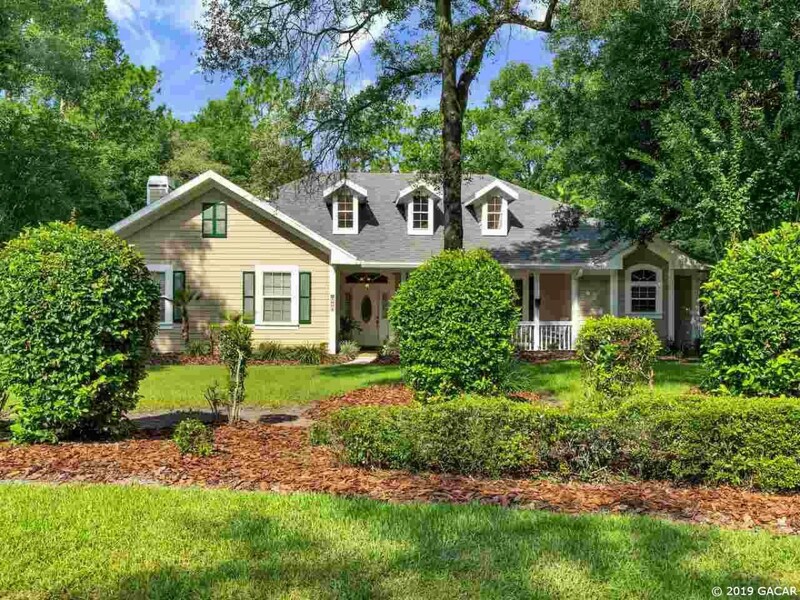 Beautiful UPDATED move in ready executive home in Haile Plantation on almost ONE ACRE! This lovely 4BD, 2.5BA POOL home has a LARGE BONUS ROOM with tons of space for your entire family. Enjoy preparing you favorite meals in the large kitchen with GRANITE countertops, STAINLESS STEEL appliances and beautiful backsplash. The large master bedroom has an attached OFFICE/READING room and the master bath boasts DOUBLE sinks, and a JACUZZI TUB! Additional updates include NEW FLOORING, new LIGHTING/FANS, new TILE in bathrooms and fresh paint. Enjoy your heated POOL/SPA and entertaining in your LARGE backyard! Other items you don't have to worry about - ROOF 2018, Exterior Paint 2017, A/C 2015. Zoned for A Rated Schools and ony minutes from Butler Plaza, I-75, hospitals and the University. This house has been well maintained, is move in ready and WON'T LAST LONG! CALL TODAY TO SCHEDULE AN APPOINTMENT!